This is my first time using an Essie polish as they're not widely available in New Zealand. This came from my NaildeRoyale haul. Very Structured is a burnt orange creme. It applies super easily and dries almost too fast and was opaque in two coats. 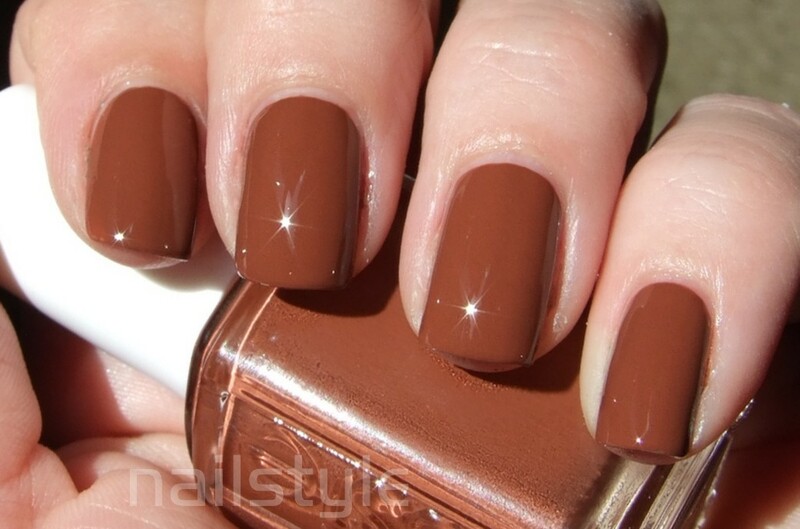 I love this colour, it's definitely one of my favourites and I see myself wearing this a lot. This was taken inside, no flash. Outside in the sun. Haha love how the sun caught this and gave my nails their own little solar flares! The second photo is great. I love Essie polishes. They always go on smoothly and I love the brush.